Dr. Yvette Oquendo-Berruz is a Medical Director at CareFirst BCBSMD. Dr. Oquendo-Berruz is a Board-Certified Family Physician with more than 30 years’ experience. Completed residency in family medicine at the University of Maryland Hospital in 1986. She served in the US ARMY as a Medical Officer, achieving the rank of Major. While in the ARMY she practiced family medicine at Aberdeen Proving Grounds and the Pentagon, serving during Dessert Shield and Dessert Storm, receiving ARMY Commendation and ARMY achievement Medals. After leaving the military she joined Potomac Physicians P.A. at their Laurel MD office where she practiced full scope family medicine for 19 years. During her tenure with Potomac Physicians she also served in many leadership roles to include Associate Medical Director. From December 2008 to April 2017, Dr. Oquendo-Berruz practiced family medicine at the Chase Brexton Health Care Columbia office, where she also served as Site Medical Director. Dr. Oquendo-Berruz was honored as Maryland Family Physician of the Year in 2002. Dr. Oquendo-Berruz has been very active serving her specialty and her community. She has been an active member of the Maryland Academy of Family Physicians and has served in many leadership roles to include President from 2012-2014. She was appointed to serve of the Governor O’Malley’s State Advisory Council on Heart Disease and Stroke Prevention from 2013-2014. 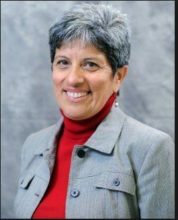 She previously served as a Board member of Conexiones, a non-profit organization supporting Latino student achievement. Currently, she serves as a Board Trustee of The Horizon Foundation of Howard County and Board member of the Health Advisory Board of the Community Action Council of Howard County. In her spare time, Dr. Oquendo-Berruz enjoys long distance running and has completed 10 marathons, including Marine Corps, New York and Boston Marathon. Dr. Oquendo Berruz is a very passionate patient advocate and strong believer of leading by example. 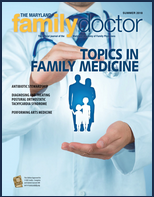 Wellness and prevention of illness were at the center of the way she practiced family medicine.